Welcome to the fourth article in a series devoted to grounding PBL in the standards. As you explore the ideas in this article I do hope you can see that PBL must be intentionally planned with standards in mind, while also making sure all the scaffolding and the components in the project are aligned. From project start to finish. Before reading, please take a moment to subscribe to this blog by RSS or email and join me on twitter at (mjgormans). Taking that moment ensures that we can continue to network. Also, please share this post with others and even provide a re-tweet. Most of all, thanks for being one of those over 25,000 visitors a month, over 10,000 subscribers, and possibly one of the thousands of educators that have attended my workshops at schools and conferences. Also, remember that I can come to your conference or school district and provide engaging, authentic, affordable, and purposeful professional development. Please check my Booking Page to see how I could be part of your school PD or Conference plans. Thanks so much. Michael Gorman (mjgormans@gmail.com). In my workshops, I emphasize that one of the building blocks of PBL (Project Based Learning) maintains that a project must be grounded in standards and assessment. I call this PBL’s “Building Block G” (Grounded in the Standards). 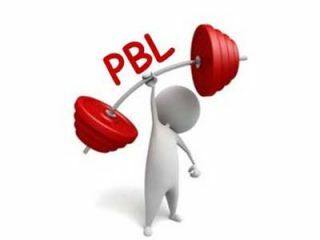 The last three posts have involved how PBL done right addresses the standards. As it does this it must not be an afterthought, it must be the project. After all, that is why we call it Project Based Learning. The learning is based in the project! If you missed the last three posts I have links provided below. Feel free to read and reflect on these articles and share with others. By grounding PBL in the standards we are one step toward going beyond doing projects. We are on our way to doing Project Based Learning! In this post, I want to address how standards in the PBL must be aligned from the beginning to the end of the project. As stated in the first three posts, in PBL the content standards, skills, and assessment are intentionally planned to assure that the project and process provide a high quality and rigorous learning experience. The project components and scaffolding are aligned to the standards. Many times, teachers start off with great alignment and as they plan about the all the engaging possibilities, the alignment begins to disappear. This can happen for a multitude of reasons. Perhaps the project brought on other neat ideas, but the ideas did not come from or connect with standards. At times our planning can be weeks apart with multiple people and focus is lost. Other times we may force a project into a given set of standards, and it really does not fit. Perhaps we love the project, but it really does not fit. Last, we may not have intentionally looked for alignment. As we learn to become intentional in our planning, we begin to look at the entire scaffolding or mapping of the project. This ensures that the entire project including entry, questions, student inquiry, lessons, activities, rubric, assessment, and products are in sync. This intentional planning and alignment allows curricular content and 21st century skills to be activated, assessed, and in balance. I have these questions to answer that will assist you in making sure proper alignment is present in your PBL. Does the project contain standards required in your curriculum? Are you spending more than double the time on the standards inside the project? Does the driving question require understanding of standards to answer? Is there an alignment of standards between project, entry event, and driving question? Do the products inside the PBL line up to standards and work together to answer driving question? Do all activities, lessons and rubrics in the products line up to standards? Are formative assessments parallel with mastery of standards? Does both individual and group work align with the standards? Does the final student project answer the driving question and necessitate understanding of standards? Is there a balance of 21century skills and content standards throughout the project? Have you missed any area where you could be more productive by bringing in standards not yet introduced or could be reinforced? Does any summative assessment employed address 21st century skills and content standards by incorporating both content knowledge and understanding through multiple styles of assessment? I do hope you have enjoyed this series of articles dedicated to “Grounding the Standards in PBL”. The acquisition of content knowledge that has been deemed important by society is one of the key functions of education. Project based Learning honors this by immersing students in important content providing that needed foundation. In a world that is seeing content multiply at an expositional rate, it is also important to help students become seekers of knowledge and lifetime self-learners. Along with those additional 21t century skills, PBL provides the avenue to both build the content foundation while activating the natural ability to learn, a wonderful process inherent in all humans.